You might be looking for a new soundbar this year, which is why we wanted to tell you about the Blitzwolf BW-SDB0 Mini Bluetooth Soundbar. This is a great soundbar for your laptop PC or desktop PC, and it is super powerful. You can get this device for $37, which is an amazing deal for the sound quality you get. 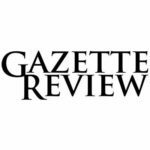 Once you try this product, you will realize that it is durable, reliable, and built to last for a long time. It is a smart Bluetooth soundbar, which means that it will work with your smart television, tablet, laptop, desktop, and even your smartphone. There are so many products that you could use with this soundbar. Whether you are looking for an indoor soundbar or outdoor soundbar, we think this device is the best on the market right now for the price. 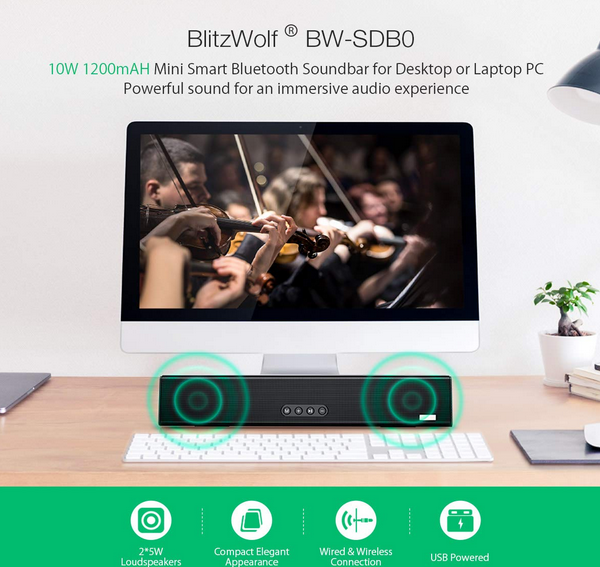 Keep reading to learn more about the Blitzwolf BW-SDB0 Mini Bluetooth Soundbar and why this is such a great choice. When it comes to mini Bluetooth soundbars, some people worry about the sound quality of a product that is fairly small and compact. The great thing about the Blitzwolf BW-SDB0 Mini Bluetooth Soundbar is that it offers you amazing sound quality. It is a 10W 1200mAh soundbar that comes with 2 speakers that are 5W each. 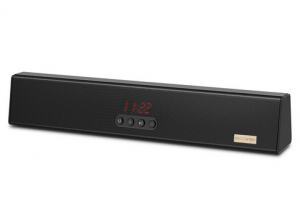 This soundbar is powerful enough for both indoor use and outdoor use. It is great for outdoor parties because it offers dynamic and powerful sounds. If you are looking for an immersive sound experience, then you cannot go wrong with this device. 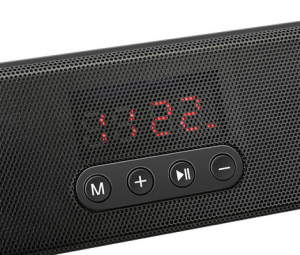 There are three different modes on the Blitzwolf BW-SDB0 Mini Bluetooth Soundbar, including Bluetooth mode, FM mode, and clock mode. Just short press on the “M” button in order to change the modes on this soundbar. The Bluetooth mode allows you to use the soundbar by connecting it to any Bluetooth device. The Bluetooth function works with laptops, tablets, mobile devices, and so many other Bluetooth-compatible devices. With the FM mode, you just need to long-press on the “Play” button in order to search for local radio stations. If you are someone who enjoys regular terrestrial radio, then you will love the FM mode. The Clock mode is the mode that allows you to set the clock itself, which is pretty easy to do. Just long-press the “Play/Pause” button in order to change the hours. Using the “+” or “-” sign allows you to move the hour up or down, and then short-press on the “Play/Pause” button in order to change the minutes. One thing that we really love about the Blitzwolf BW-SDB0 Mini Bluetooth Soundbar is that it works both wired or wireless. This device uses Bluetooth 3.0 and has a wireless distance of 10M. If you want to use the Bluetooth wireless capability, it is very easy to setup with any Bluetooth-capable device. There is also a 3.5mm AUX input, which gives you even more ways to enjoy this soundbar. You will love the versatility that comes with either using this device wired or wireless. Since this device comes with a 1200mAh rechargeable battery, you can listen with this soundbar for hours on just one charge. The device takes about three-hours to come to a full charge, and will last up to five-hours if you are using it at 50% volume. You will love the fact that you have a Li-ion rechargeable battery with this device. It gives you the ability to reuse the same battery over and over again since it can be recharged hundreds of times. To charge the battery, just use the USB cable that is provided in the package. There is universal compatibility with this device and it even has a DC 5V charging port. If you are looking for a lightweight soundbar, then the Blitzwolf BW-SDB0 Mini Bluetooth Soundbar is definitely the best option out there. This item only weighs 613 grams, so it is versatile and able to be moved from room-to-room without issues. It is so small and lightweight that you could even put it in your purse if you want to travel with it. 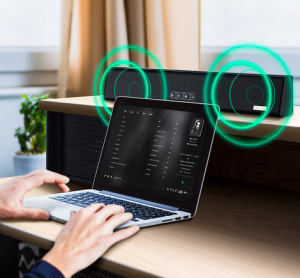 What we also love is that if there is no Bluetooth device connected, the soundbar will automatically shut itself off within 5 minutes. This means that you will not be wasting battery life if there is no Bluetooth connection made. Although it is not waterproof it is made of anti-skid Silicone and iron mesh for an amazing look and feel. The angular design of this device allows it to have a compact design suitable for any room or space. Beyond that, you will also get an 18-month warranty with this product. If something goes wrong within that time frame, just contact BlitzWolf and the company will be happy to replace the device or give you your money back. For the price of $37 you really cannot go wrong with this soundbar at BangGood. We love the design and the amazing immersive sound quality that comes with this soundbar. For this price tag, you will not find a better sounding device that is so versatile and unique.